If you have had the opportunity to try the IPA-Nut beer that was a collaboration between Planters and Noon Whistle Brewing from Lombard, IL then you’ll have to tell us how it tasted because we haven’t gotten to try it. Planters is not the first corporate company to partner up with an independent brewery and probably won’t be the last. We talked about this recently on the Life Behind Beer podcast, but we decided to ask some other cousins for their thoughts on partnering with corporate companies. To read the full article about the new collab beer click here. What are your thoughts on this partnership and breweries partnering up with corporate companies like Planters? What corporate collaboration would you like to see happen with Iron Horse? Are collaborations like these bad for the indie beer business? What do you think about corporations partnering with indie beer companies to create specialty beers? 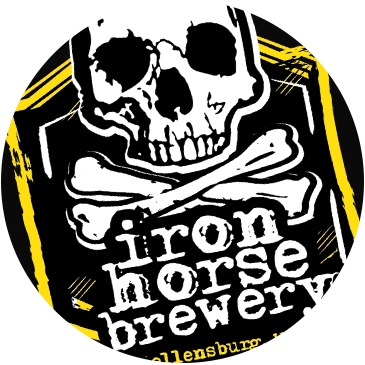 What companies would you like to see Iron Horse Brewery partner with? Great ideas! We did partner up with a cheesemaker, Blain Hages of Zauhars Cheese (http://www.zauhars.com/), who created some cheeses using our beers. You can pick them up at [ the pub ]. Maybe our own cheese sauce is the next step. The future doesn’t look as bright for loco red, but never say never.